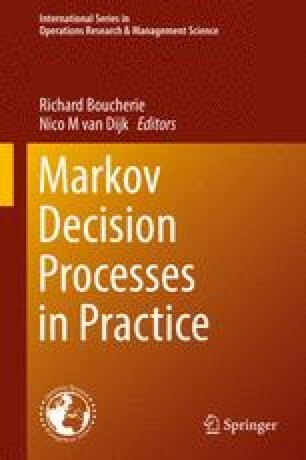 This paper describes and analyses a bi-level Markov Decision Problem (MDP). The model has been used to study questions on the setting of fisheries quota. The problem extends earlier models in literature and describes fish stock and economic dynamics. At the first level, an authority decides on the quota to be fished keeping in mind long term revenues. At the second level, fishermen react on the quota set as well as on the current states of fish stock and fleet capacity by deciding on their investment and fishery effort. An analysis of the behaviour of the model is given and used to decide on how to discretize the state space. The aim is to derive optimum quota settings based on value iteration. This chapter illustrates how a MDP with continuous state and action space can be solved by truncation and discretization of the state space and applying interpolation in the value iteration. This work has been funded by grants from the Spanish state (TIN2015-66680-C2-2-R) and, Junta de Andalucía (P11-TIC-7176), in part financed by the European Regional Development Fund (ERDF). This section describes the relation of the terminology in this chapter related to the general notation in the book.